You have selected the 4-year Member membership level. Membership expires on January 1, 2023. Type your home phone here. Type your cell phone number here. Which states do you service. Enter any zip codes that you are currently based out of. Leave blank if you don't want to be searched based on zip code. Do you own a tracking dog? What breed(s) of tracking dog do you use? 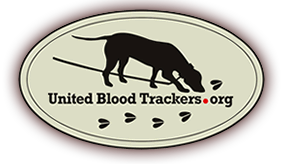 How many years have you owned a blood tracking dog? How many tracks do you go on in a typical hunting season? Do you belong to any other blood tracking club(s)? Are you a blood tracking judge? Why are you interested in joining UBT? Would you like to be displayed on our "Find a Tracker" map? Note: Your password must be at least 5 characters long.